In order to receive full credit, be sure to include today’s date and use complete sentences. 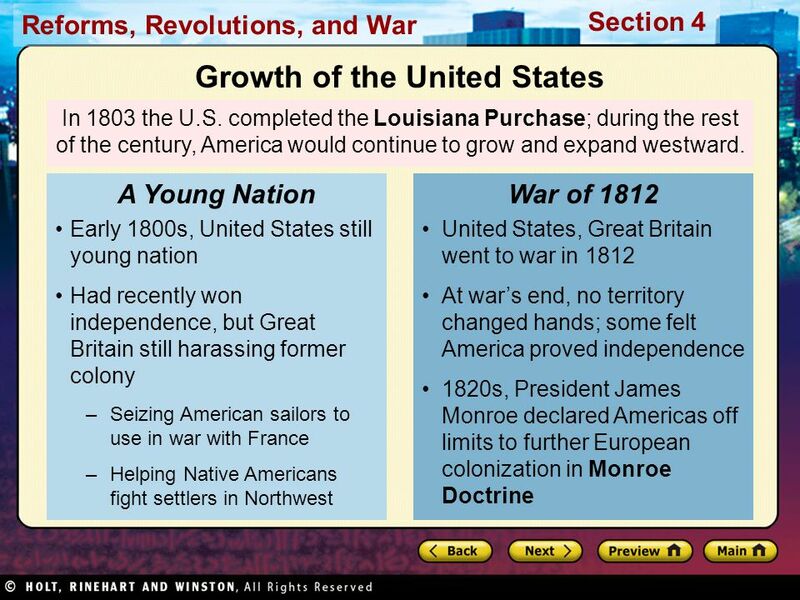 Why did President James Monroe issue the Monroe Doctrine? 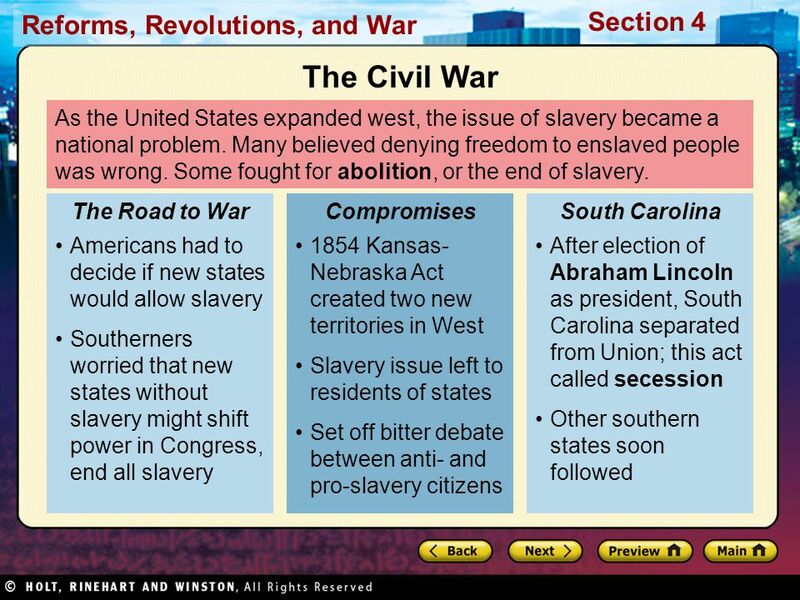 Main Idea As the United States began to expand west, conflicts erupted over territory and slavery. 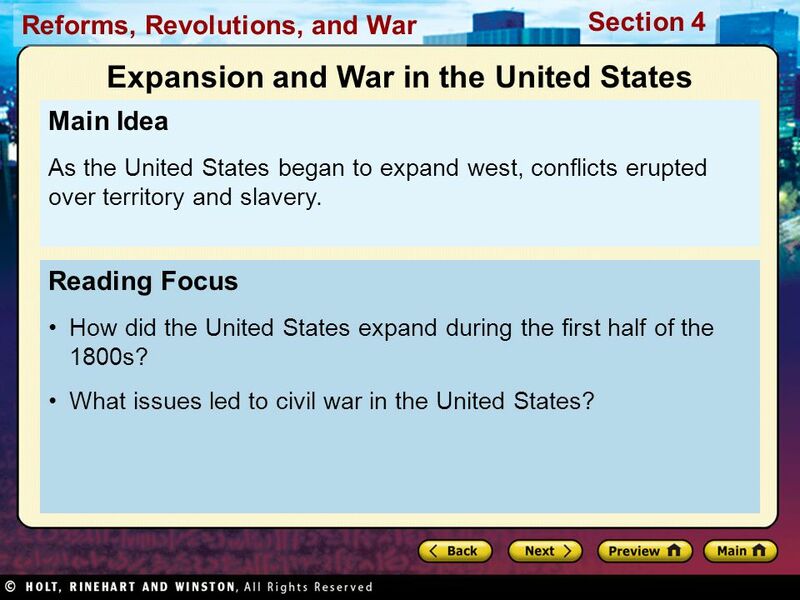 Reading Focus How did the United States expand during the first half of the 1800s? 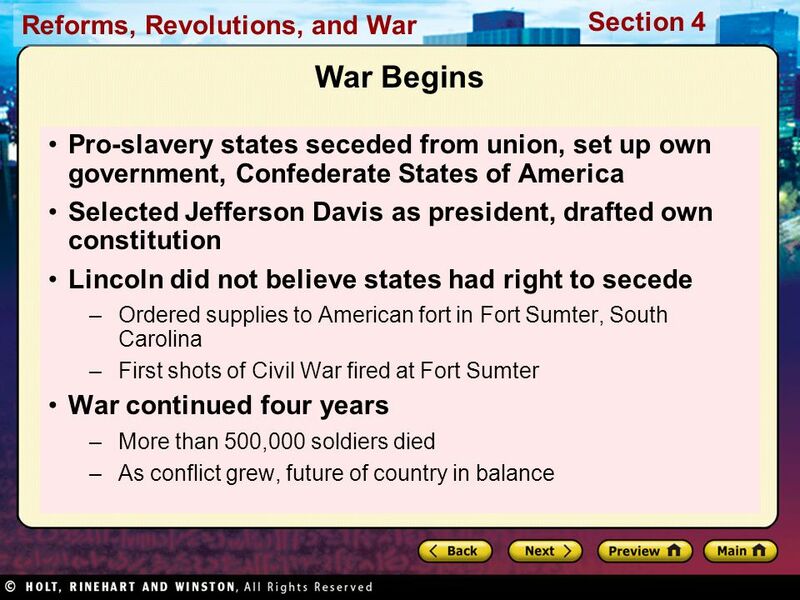 What issues led to civil war in the United States? 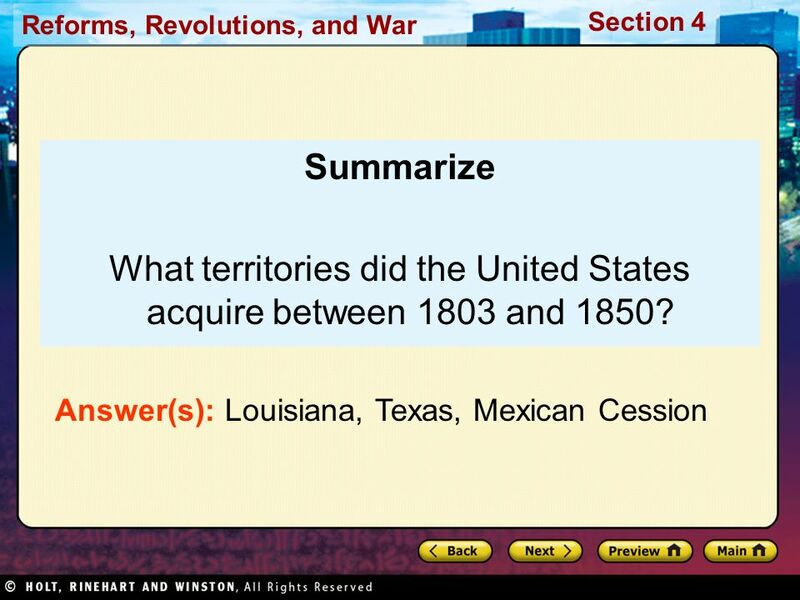 10 What territories did the United States acquire between 1803 and 1850? After the Civil War much of the South lay in ruins. Large areas were destroyed, and the economy was ruined. The final battles had also damaged railroads, roads, and bridges. Many Americans wondered how the federal government would treat the former Confederate states. 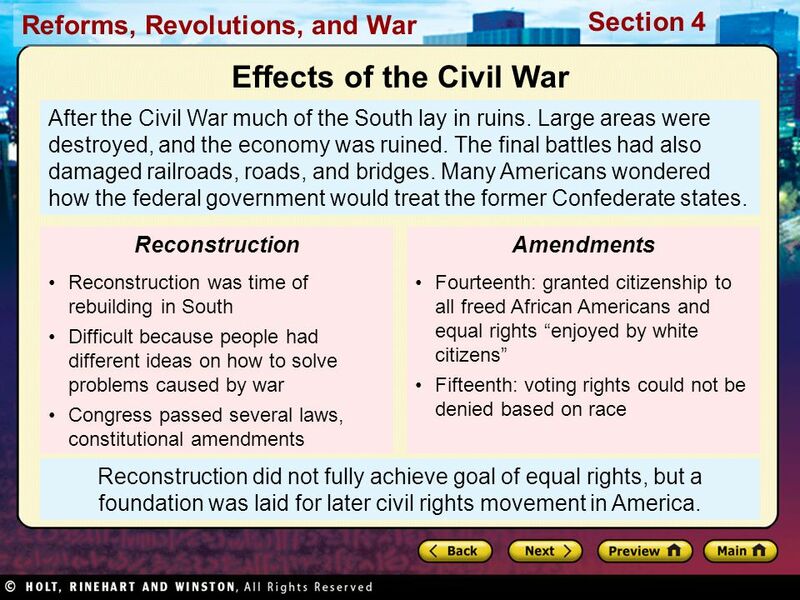 Reconstruction was time of rebuilding in South Difficult because people had different ideas on how to solve problems caused by war Congress passed several laws, constitutional amendments Reconstruction Fourteenth: granted citizenship to all freed African Americans and equal rights “enjoyed by white citizens” Fifteenth: voting rights could not be denied based on race Amendments Reconstruction did not fully achieve goal of equal rights, but a foundation was laid for later civil rights movement in America. 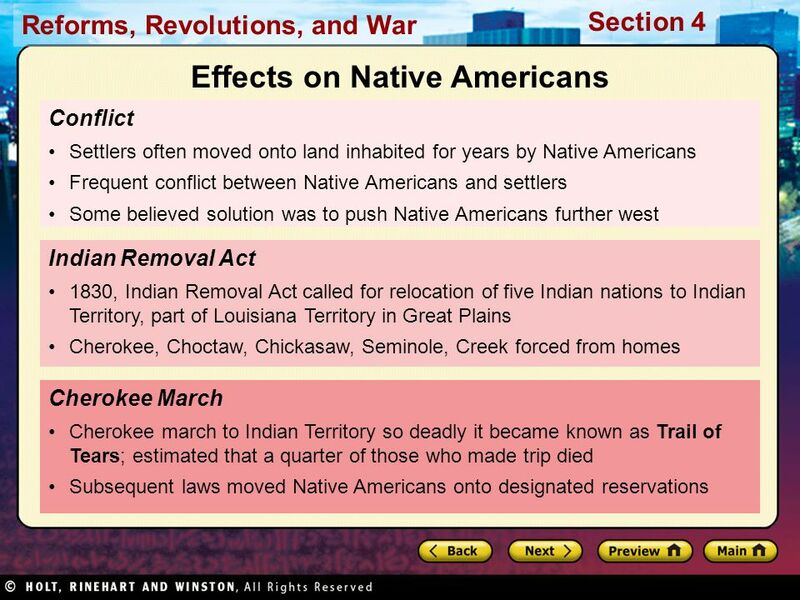 16 In what ways did Reconstruction succeed and in what ways did it fail? 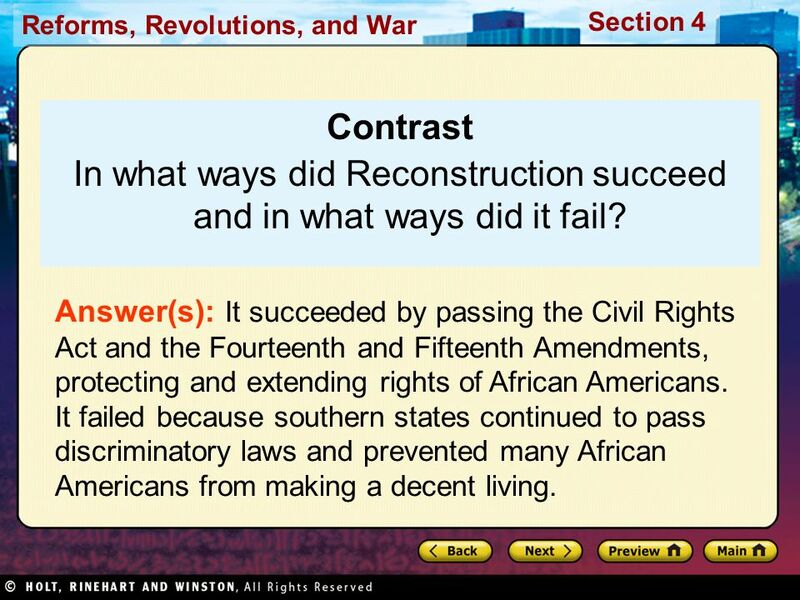 Contrast In what ways did Reconstruction succeed and in what ways did it fail? Answer(s): It succeeded by passing the Civil Rights Act and the Fourteenth and Fifteenth Amendments, protecting and extending rights of African Americans. It failed because southern states continued to pass discriminatory laws and prevented many African Americans from making a decent living. 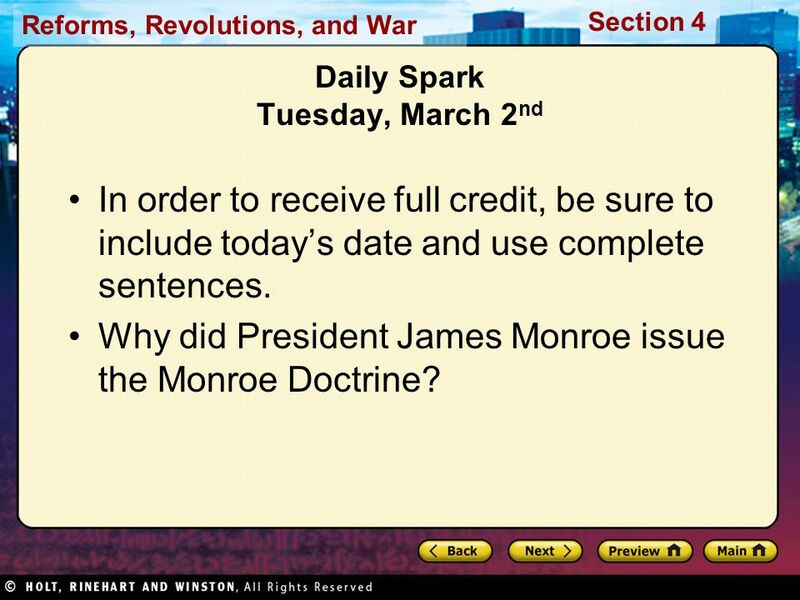 Download ppt "Daily Spark Tuesday, March 2nd"
Standard B.1.k. 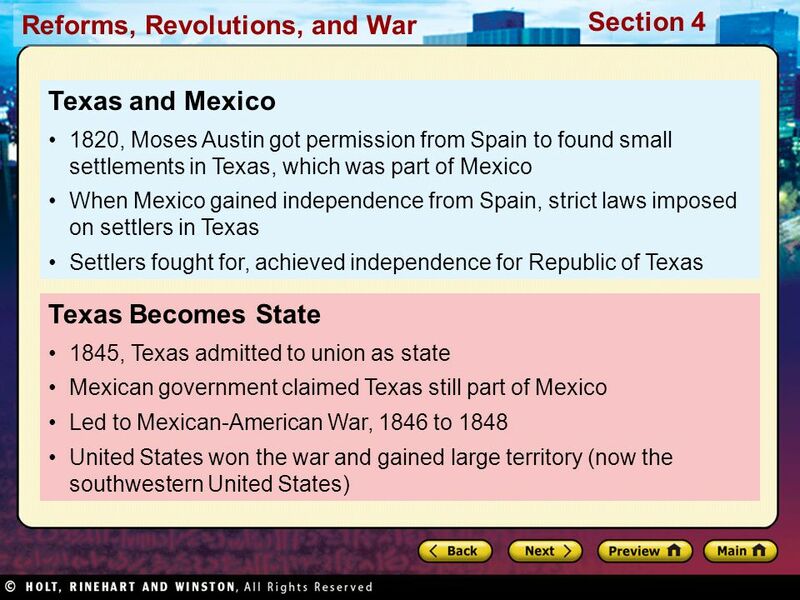 : Identify and evaluate the political and territorial changes resulting from westward expansion of the United States in the early nineteenth. 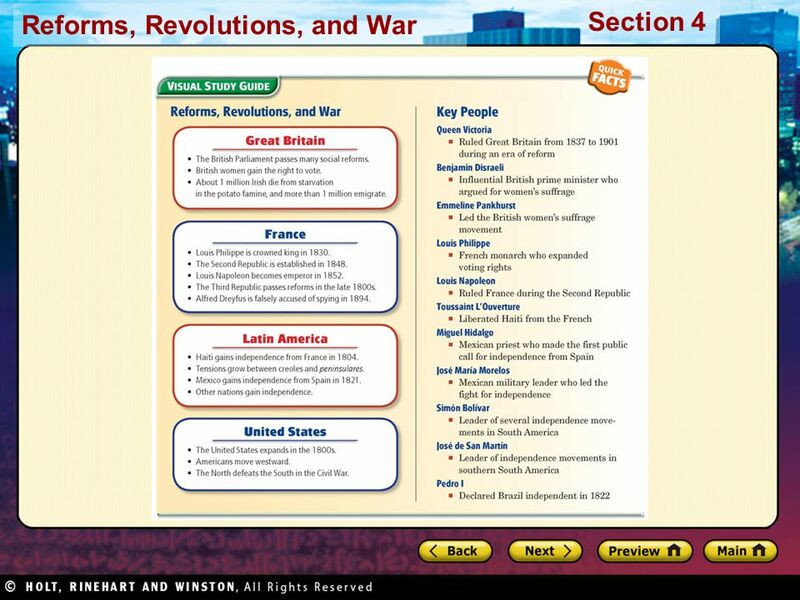 The Civil War: Key Battles & Turning Points Summarize significant key battles, strategies, and turning points of the Civil War – including the battles. 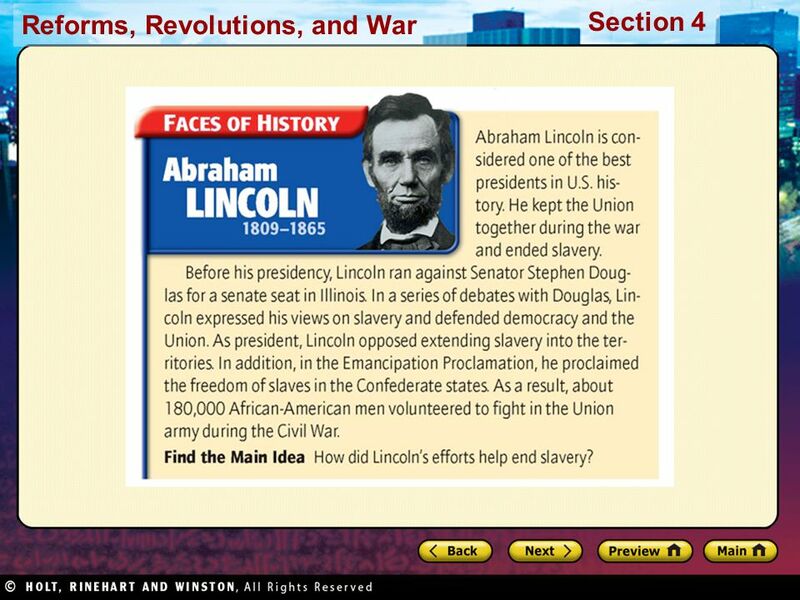 Abraham Lincoln Andrew Johnson Andrew Jackson James K. Polk. The American Civil War – Beginnings. Presidential election of 1860  In 1860, Stephan Douglas and Abraham Lincoln ran against each other again, this time. 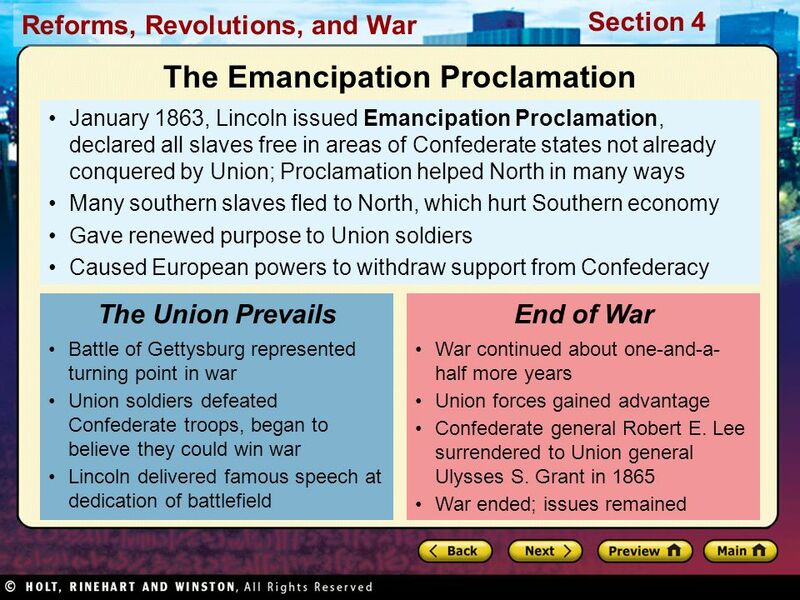 8 TH GRADE US HISTORY FINAL REVIEW Washington’s Presidency to the Civil War. 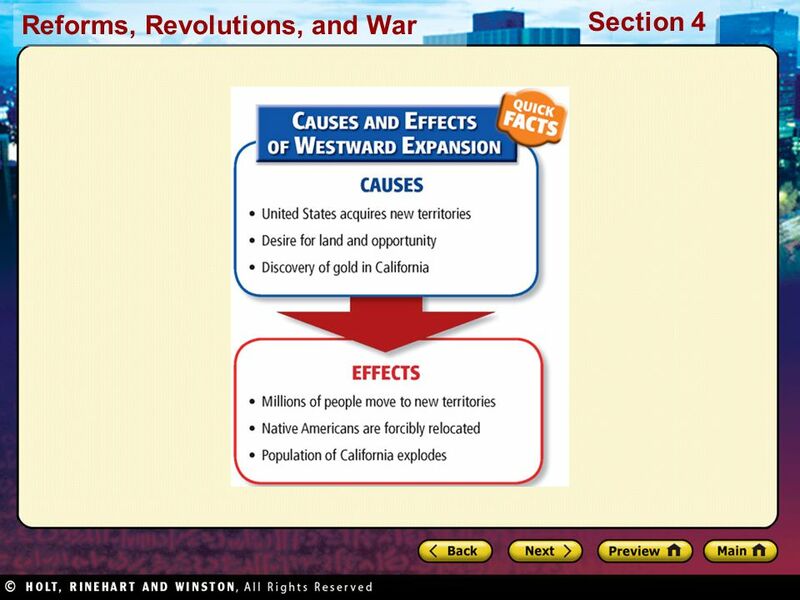 Chapter 23 / Section II: Pages Growth and Change in the United States This section is about: This section is about: Significant changes in the. 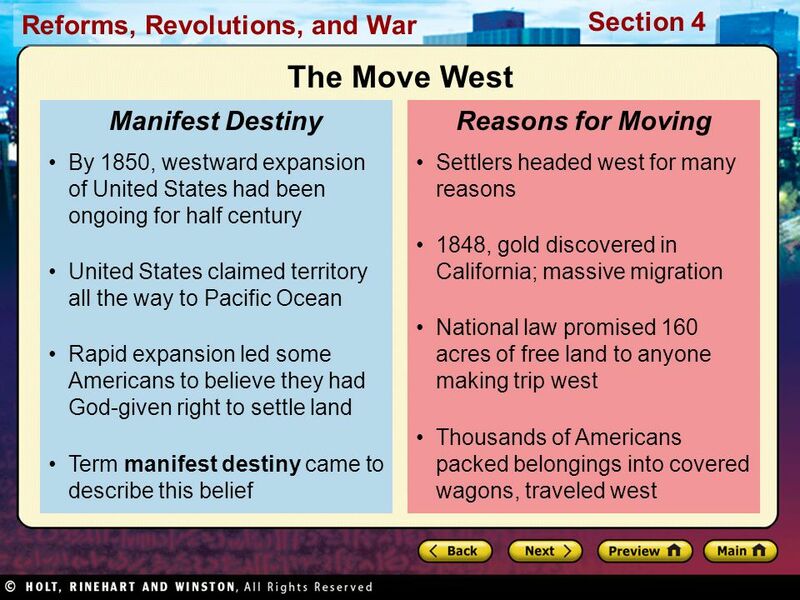 BELLWORK Look at the map on page 131 and answer the following questions about Westward expansion: 1.When was Tennessee settled? Iowa? 2.Where was a majority. 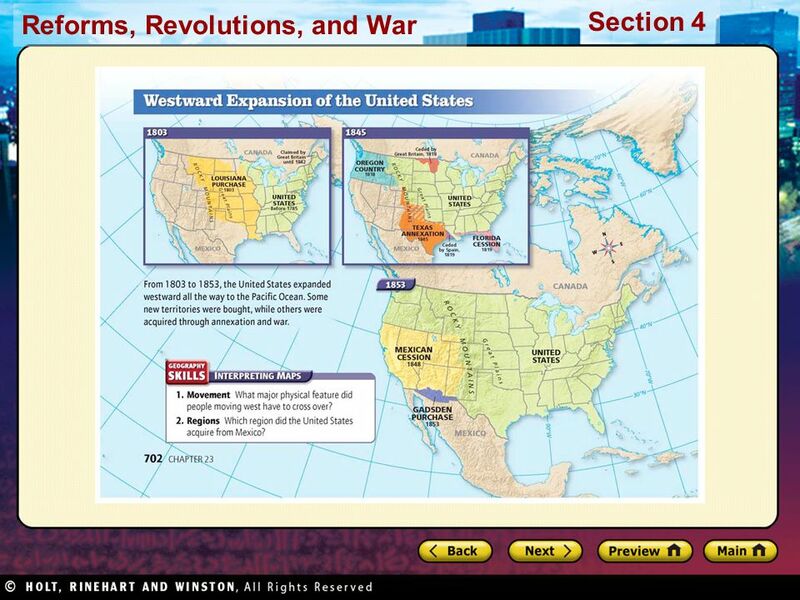 BELLWORK Look at the map on page 131 and answer the following questions about Westward expansion: When was Tennessee settled? Iowa? Why do YOU think Westward. Review 2 By JG. US Constitution Where was the Constitution Convention held? THE CIVIL WAR 1861-1865 Union vs Confederacy. Union Leaders.